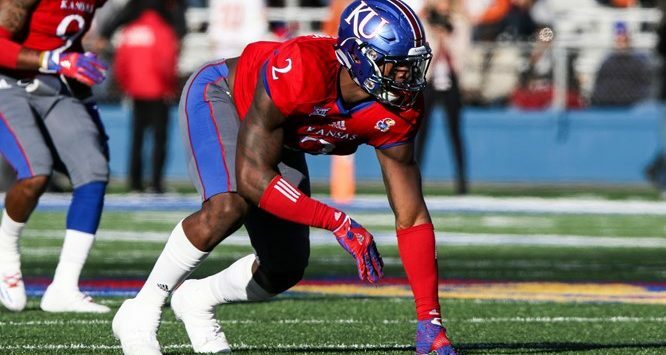 LAWRENCE, Kan. – Kansas football’s Dorance Armstrong Jr., had an exciting day as he was was selected in the 2018 National Football League (NFL) Draft. Being taken with the 116th pick marks the highest draftee for Kansas since 2010, when safety Darrell Stuckey was drafted by the San Diego Chargers in the fourth round with the 110th pick. Armstrong came off the board as he was taken in the fourth round by the Dallas Cowboys with the 116th overall pick. He is the first Jayhawk drafted by the Cowboys since 1986 when wide receiver Johnny Holloway was tabbed by the organization in the seventh round. Armstrong, a native of Houston, Texas, concluded his Jayhawk career ranked sixth on the KU all-time chart for tackles-for-loss with 34.0, while he sits tied for ninth with 15.0 career sacks. His 20.0 TFLs in 2016 rank fifth on KU’s single-season chart, and his 10.0 sacks that same season rank fifth in Kansas single-season history. In 2017, Armstrong finished his third season in the Crimson and Blue with 63 total tackles, including 9.0 TFLs and 1.5 sacks. Additionally, he hurried the quarterback seven times, had four pass breakups, three forced fumbles and one fumble recovery. Armstrong was tabbed Second Team All-Big 12 by the conference coaches. Armstrong was voted the Big 12 Conference’s 2017 Preseason Defensive Player of the Year and was the lone unanimous selection on the defensive side of the ball for the 2017 Preseason All-Big 12 First Team. He was the first Kansas player to be named a preseason individual award winner during its time playing in the Big 12 Conference. He was also the first Jayhawk to be voted a unanimous selection for the Preseason All-Big 12 Football Team. Armstrong was a dominating defender during the 2016 campaign. 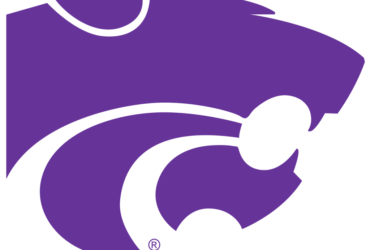 He exploded onto the national radar after a breakthrough season in which he became Kansas football’s first unanimous All-Big 12 Conference First Team member. Injured in the preseason, Armstrong did not reach 100 percent until the third week of the season, when he began becoming a player opposing offenses game-planned around. In the remaining nine games Armstrong was among the best defensive players in the country, and finished 2016 ranked fifth in tackles-for-loss and 18th in sacks. Armstrong tallied more sacks from his defensive end position than any Jayhawk has posted in the last 15 years with an even 10.0 – all in the final nine games. Showing versatility, Armstrong wreaked havoc in the backfield on a weekly basis by disrupting 20.0 plays before the opponent could reach the line-of-scrimmage in 2016. An incredibly quick rusher off of the edge, he brought the quarterback down in seven games, while recording six-straight contests with a sack.